The Hirshhorn Museum invites everyone to take part in creating a colossal work of art. All you have to bring are your hands and your heart. 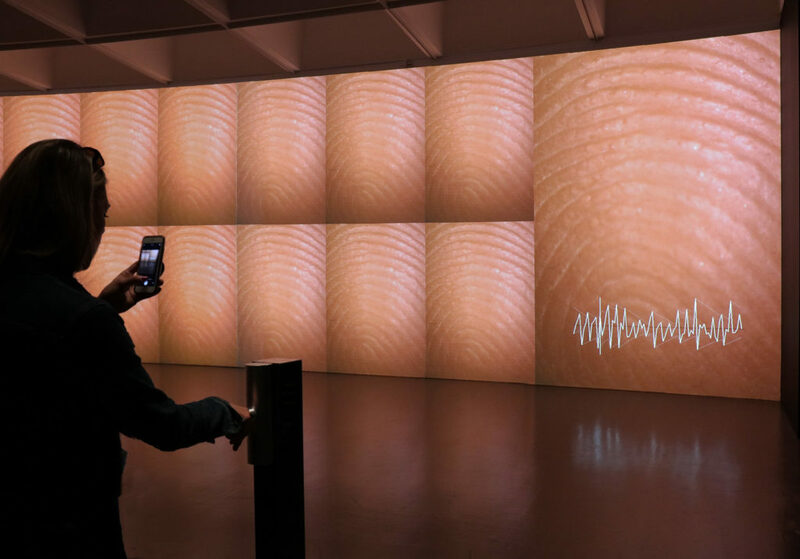 The immersive environments in each of three galleries of Rafael Lozano-Hemmer’s Pulse series are equipped with heart-rate sensors to create kinetic and audiovisual experiences from visitors’ biometric data. 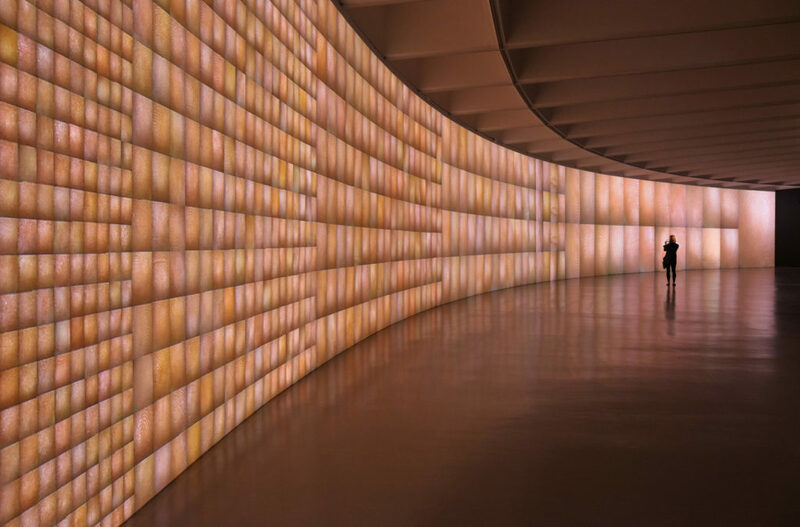 Pulse Index (2010) is a glowing digital grid which displays thousands of fingerprints and heart rates along an entire wall. Visitors insert a finger into a sensor with a digital microscope and a heart-rate monitor. The new fingerprint appears on the display, pulsating their heartbeat with flashing lights. As a metaphor for the human life cycle, when new recordings are added, older recordings go to the end of the display to be deleted. Pulse Tank (2008) consists of three tanks of water with projectors. The visitor interacts with sensors on the sides of the water tanks. Computers detecting their pulse create rippling waves on the water’s surface, which reflect in shadow patterns on the walls. Several heartbeats, each unique, can interact with each other. 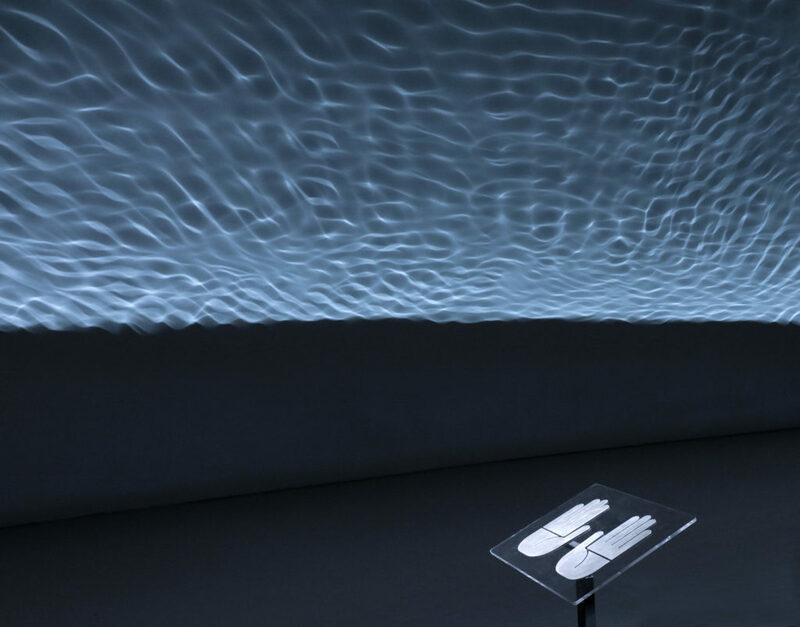 Pulse Room (2006) animates fingerprints. 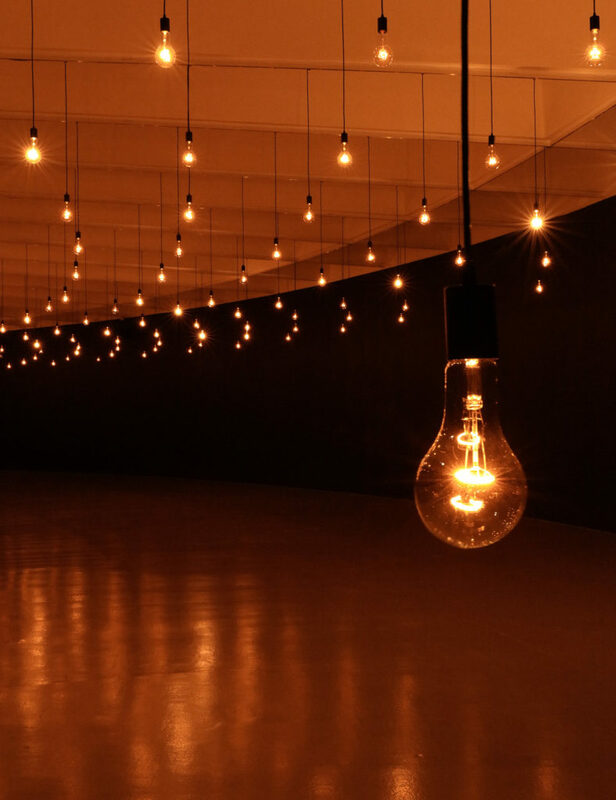 As visitors add their heartbeat by touching a sensor, their pulse is transmitted to the first of 211 clear incandescent light bulbs, which flicker to its rhythm. As more heartbeats register, the amplified sound of collected heartbeats accentuates the impact of the piece. Fingerprints and heartbeats are each unique to an individual. In this exhilarating experience, Pulse transforms individual data into a collective art. The Hirshhorn Museum and Sculpture Garden, at the corner of 7th St., SW and Independence Ave., SW, is running Pulse until April 28, 2019. More information can be found at hirshhorn.si.edu.